“Good is the enemy of great. We don’t have great schools because we settle for good schools. We don’t have great business because we settle for good business. We don’t have great churches because we settle for good churches.” That is a paraphrase of the opening to Jim Collin’s Good to Great. In the world we live in, as Christians, greatness must be assessed on two tiers: what is greatness and what does it take? Biblical greatness is never achieved by our own methods. We see this perfectly explained in Genesis 11 and 12. In Genesis 11, people attempted “to make a name for themselves” and God confused their language. Dr. Maurice Watson calls Gen. 11, “The Irony of Greatness,” for the very dream they were pursuing was destined for destruction before the first brick was ever laid. In the very next chapter, God tells Abram, “I will make your name great.” Biblical greatness is never the result of the work of our hands, the fulfillment of our plans but is the result of obedience to the Lord’s call. What is the vision of your organization, your team, your fellowship, your ministry? You need a leader to carry the vision. Someone who charts the course, steps up front and clearly communicates the direction you are headed. Abraham Lincoln, George Washington, Dr. Martin Luther King, Jr….Adolf Hitler, Osama bin Laden. Whether for triumph or tragedy, good or evil, there has always been a leader up front always casting vision and direction for what’s ahead. Do you have this person on your team? Are you this person? Where can them? “What are the day to day tasks that need to be accomplished? Are you a workaholic with no boundaries and working yourself into burnout regularly–and those around you? (Remember, if you do 12 hours of work every day, it means your team will have to do 12 hours or work to keep up the demands.) Are you a procrastinator, waiting until the last minute to accomplish tasks? How do you know which tasks to prioritize? Which are urgent, important and which need to be delegated to someone else to get done?” That’s the role of this leader in your life, to help you make sense of the responsibilities that come across your desk. Big Vision is huge! Tasks are important. SO WHAT!!?! Are you growing from either of those? Probably indirectly, but you and I need direct leadership. Direct influence. Someone pouring into us, meeting us where we are, asking us the difficult questions, and making sure we are doing the soul care we need so ministry remains a place of joy and never (err…rarely) a burden. I like how Eugene Peterson says it in his great book: Working the Angles, The Shape of Pastoral Integrity. He states that ministry is like a triangle. There are three lines: preaching, teaching and administration. However, there are three angles: prayer, scripture and spiritual direction. If we don’t work the angles, we can end up anywhere as ministers of the gospel. 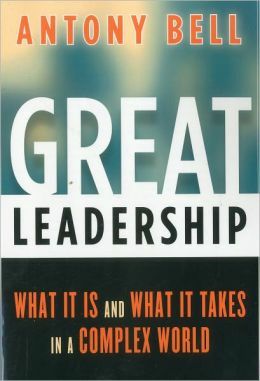 What keeps good leadership from becoming great? Focusing only on one or two pillars only. 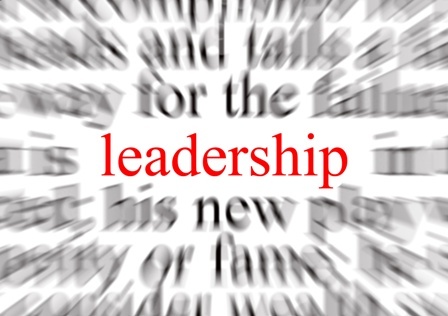 Organizational leadership alone is good but it is not enough. How will you accomplish the vision? Are you developing the people around you as you work towards the vision? Operational leadership alone is perhaps the worst of all by itself. It has no vision. It does not develop people and reduces them to their usefulness and not their value. Personal leadership is not enough. Develop the people around you, but for what purpose? What strategy and projects will you use to cultivate the learner in them? Next Stephen/Lazarus. New Life or Stay Dead? Let God Decide!